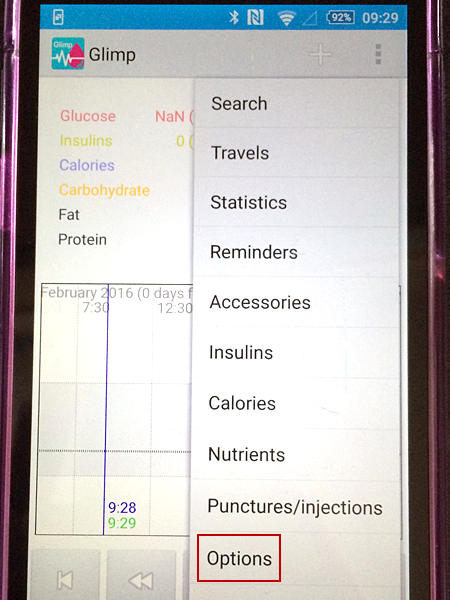 To learn more about FreeStyle Libre, visit https://freestylediabetes.co.uk/our-products/freestyle-libre. For questions regarding using the FreeStyle Libre system, you may wish to join the Abbott Freestyle Libre users Facebook group. If you already have an existing Nightscout site, skip this section and continue with Existing Nightscout Users below. If you do not yet have a Nightscout site, you will need to create one. CarePortal is enabled in Heroku (or Azure). 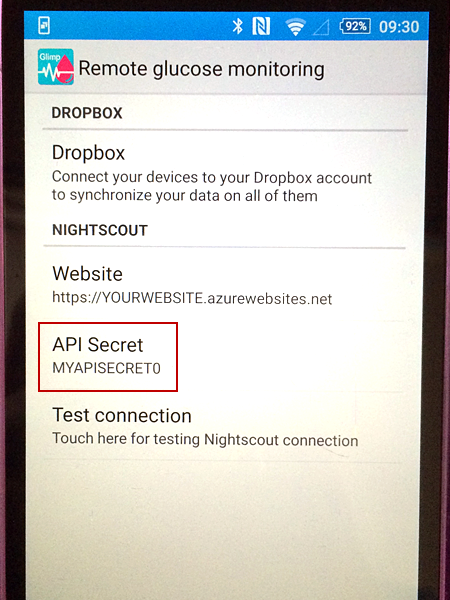 You have an API_SECRET set in Heroku (or Azure). 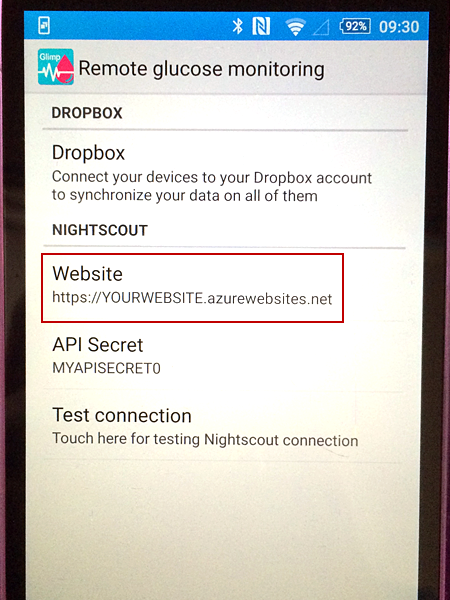 In order for a Nightscout site to have data, you must be uploading data from FreeStyle Libre to the cloud. If you are using Spike for this, follow the directions here to configure it. Download and install Glimp from the Google Play Store. In the Glimp app, select Menu by tapping the 3 dots in the top right. Select Options. 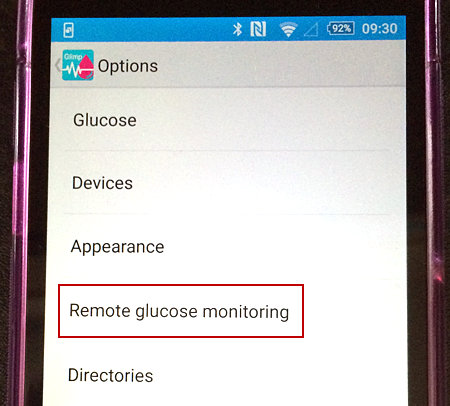 On the Remote Glucose Monitoring screen, enter your Nightscout URL. 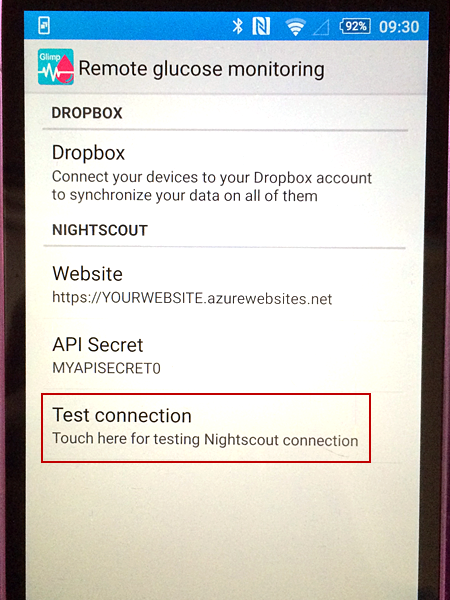 Click the button to “test” the connection to your Nightscout site. 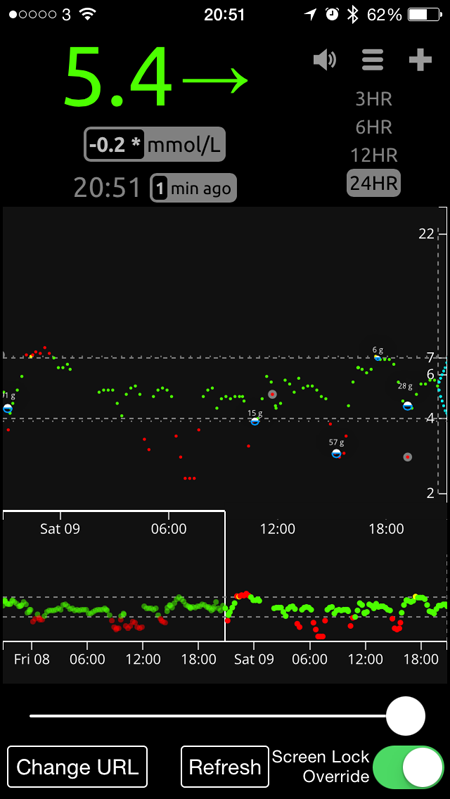 If the test is successful, Glimp is now properly configured for use with Nightscout.